A Delhi-Chandigarh Train (Photo for representation purpose only). Image credit: Hindustan Times. 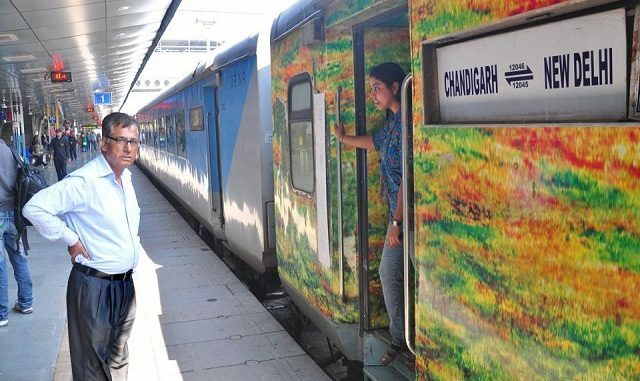 New Delhi, Nov 26: It will cost about Rs 11,000 crore ($1.7 billion) to increase the train speed up to 200 km per hour on the Delhi-Chandigarh route so that a passenger can travel the distance in two hours, according to the draft final report submitted by SNCF, the French railway, to Indian Railways.